Richard’s sport of choice was sailing and when his architectural training was frustrated by a politically induced economic slump, he turned his hobby into a profession and started to design and build offshore sailing yachts. During 1979 he designed and built the first all carbon fibre reinforced sailing yacht. Courtaulds Ltd in England, then the only commercial source of carbon fibre, had a very small production line, so supplies were limited. Production was so small that the first test flight of the Space Shuttle was postponed because Richard’s order was placed before NASA had placed their order. This early start with Carbon Fibre led to Richard being offered a job at RK Carbon Fibres as their Research & Development man. He moved to Inverness in 1987 in order to take up that position. Doing this job he learnt a lot more about advanced composites. In 1997 he started Freewing Masts in a workshop next to the Caledonian Canal at Clachnaharry, building an unstayed, rotating yacht mast. It was a design concept that he had started to develop back in 1979. A crucial part of this rig’s success was in keeping its weight down by using an advanced composite construction. This experience with lightweight composite design allowed Richard to help when Hamish walked into his Clachnaharry workshop. Richard was immediately impressed with Hamish’s design concept for his proposed new stretcher. They soon agreed that Richard’s experience with composite, foam sandwich construction could be utilised to best effect if he took over the engineering and construction of the stretcher body. Richard proposed a monocoque, composite foam sandwich tub. 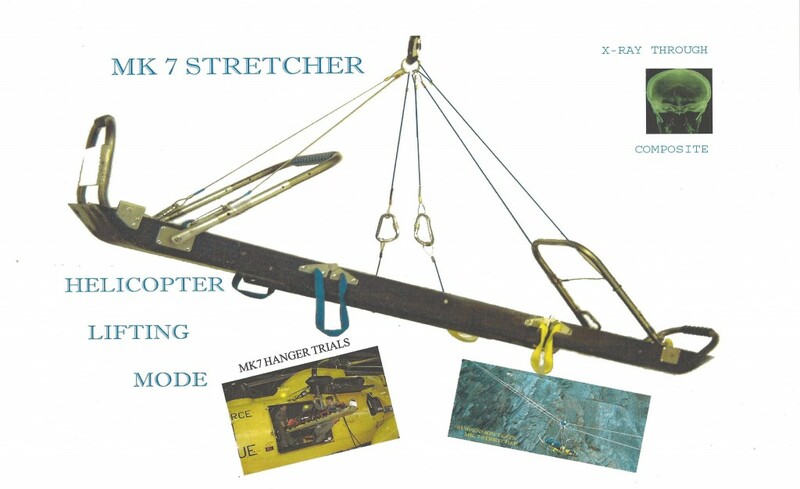 The aim was to produce a stretcher that would satisfy not only the needs of the mountain rescue teams, but also be suitable for use in disaster areas and for helicopter lifting. Despite its compact pack size, the Mk7 can be opened and ready for use very quickly. They can be supplied with a six point lifting harness and a quick fitting but robust single wheel unit. Hamish and Richard were proud to have got the Mk7’s weight down to 11 kg when fully fitted and ready for the mountains. This weight reduction was largely because of the new composite tub shell, then being made by Richard’s father. Despite being in his late 80’s his father was a meticulous worker and helped him by fine tuning the production sequence. He was justly proud of the quality of the Mk7 stretcher tubs he made. Both Hamish and Richard now miss his presence in the workshop and his advice and encouragement. The initial launch of the MacInnes Mk7 was however met with considerable scepticism. 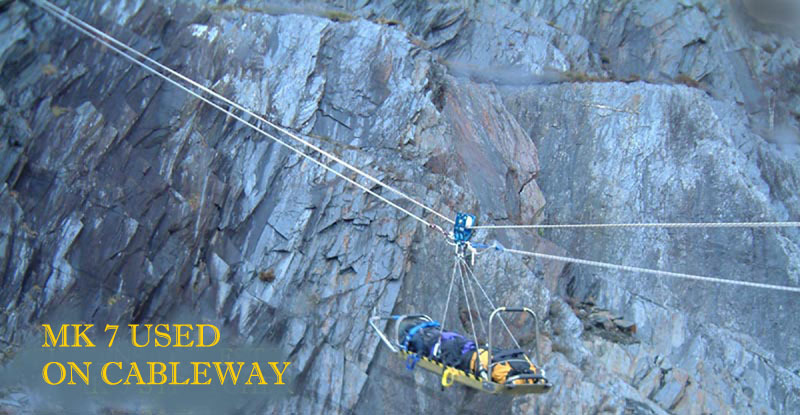 The rescue team members could not believe such a lightweight structure would be robust enough to cope with the impacts and abrasion that they would be subjected to. While frustrating, this scepticism was understandable as the lives of the rescue teams and those they save, depend on the reliability of their equipment. Fortunately Hamish was able to use his reputation to encourage field trials of the Mk7 and it passed all the tests. The Mk7 stretchers have gone on to establish a good reputation for strength and toughness throughout the world. They have been chosen for two Everest expeditions and have seen service in Afghanistan. 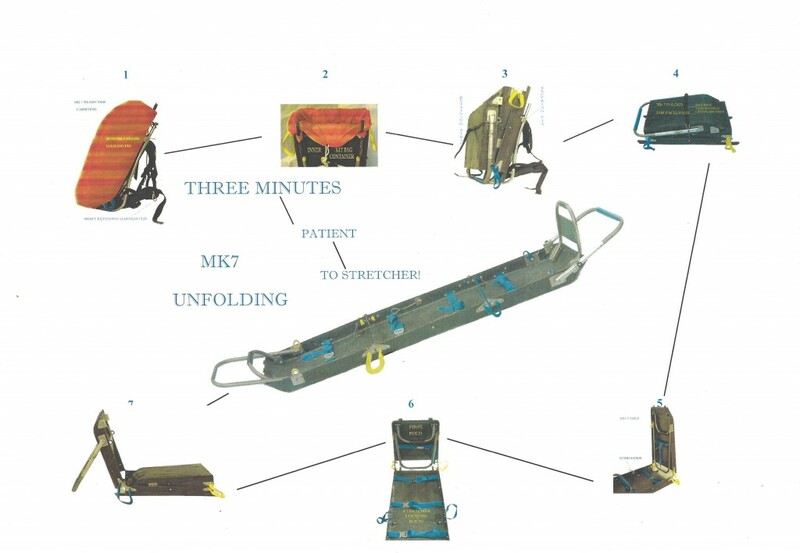 After comparative trials, the RAF rated the MacInnes Mk7 as the best stretcher evaluated. An Italian mountaineering magazine also tested the MacInnes Mk7 stretcher and in a glowing report described it as “the Ferrari” of rescue stretchers. The stretcher’s reputation was growing and with that so was the demand. Both Hamish and Richard were delighted with the performance of their new Mk7 stretchers. After the initial fears for the Mk7’s strength, this report gave them particular satisfaction.